In Canada, payment for surrogacy, egg donation, and sperm donation is banned under the 2004 Assisted Human Reproduction Act. Under the Act, surrogates (like egg donors and sperm donors) can be reimbursed for receipted expenses. With a note from their doctor, surrogates can also receive some money for lost work-related income during pregnancy. 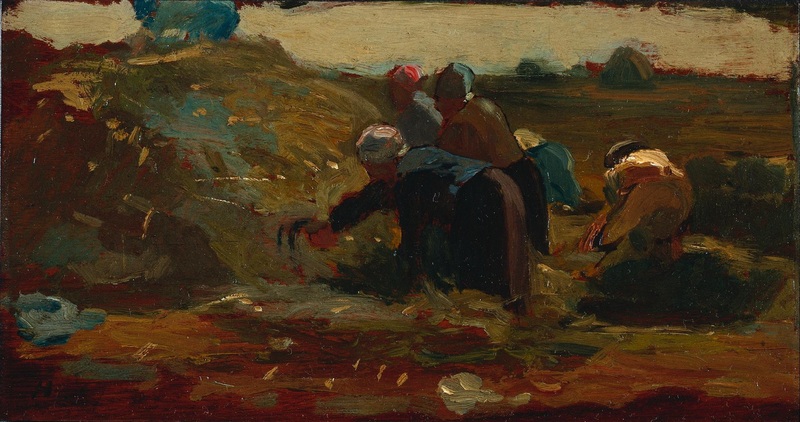 Women Working in a Field by Winslow Homer 1867. Why “compensation” and not “payment”? Regardless of these varying ideas, the word “compensation” raises red flags. Talking about payment for surrogacy as “compensation” — rather than as work — perpetuates class-related assumptions about who “good surrogates” should be. And about how surrogacy relates to other forms of gendered and reproductive labour. A version of this commentary was previously published on The Conversation.